As readers of this blog might know the recent visit of Ian Hill, keynote speaker at the Leading the North conference, had a pretty big impact on me. One of the concepts he discussed was "courageous conversations" - those discussions we may not want to have, but need to have (personally, professionally, and as a community). I was intrigued by this as I must admit I have a tendency to avoid those - I suspect most of us do, because they can be uncomfortable, awkward, and sometimes just painful. 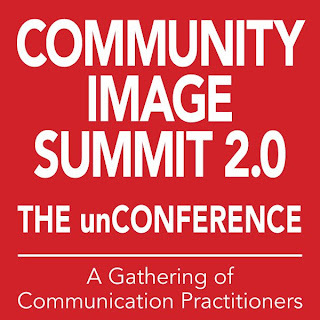 What was most intriguing, though, is just days after Leading the North there was an opportunity to engage in some of those conversations - at the Community Image Summit 2.0, hosted by Keyano College. 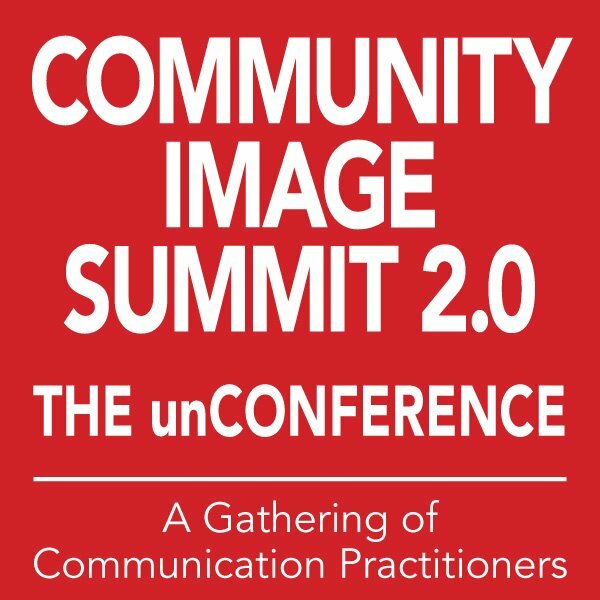 The Community Image Summit is billed as an "un-conference" - the attendees set the agenda and topics, and while there is some direction they pretty much drive the bus, too. There were several possible topics that could be addressed, and each attendee was given two votes towards the topics they wanted to see discussed. It was democratic, driven by the participants, and, in the end, utterly brilliant because what ended up being discussed was the topics most important to those attending (ever been to a conference where they discuss things that don't interest you at all? Yeah, me too - but this was the exact opposite of that experience). 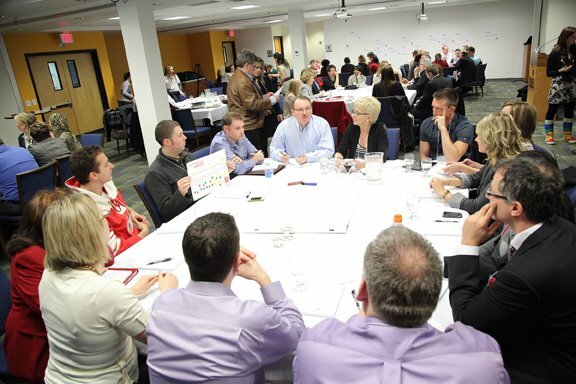 The CIS 2.0 was held at Keyano College, the perfect venue for a "thought exercise" conference of this nature. There is just a natural synergy between a college and such conferences, I think, and it was the ideal setting to meet with about 80 people from this community. It was a diverse group, too, from all sectors of the city - industry, municipality, non-profit, and people like me, just stakeholders in what happens here. 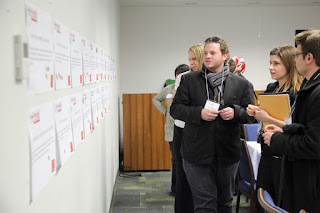 The day started with a number of questions that had been submitted for consideration, and each participant was given two sticky dots to vote for the ones they would like to see discussed. 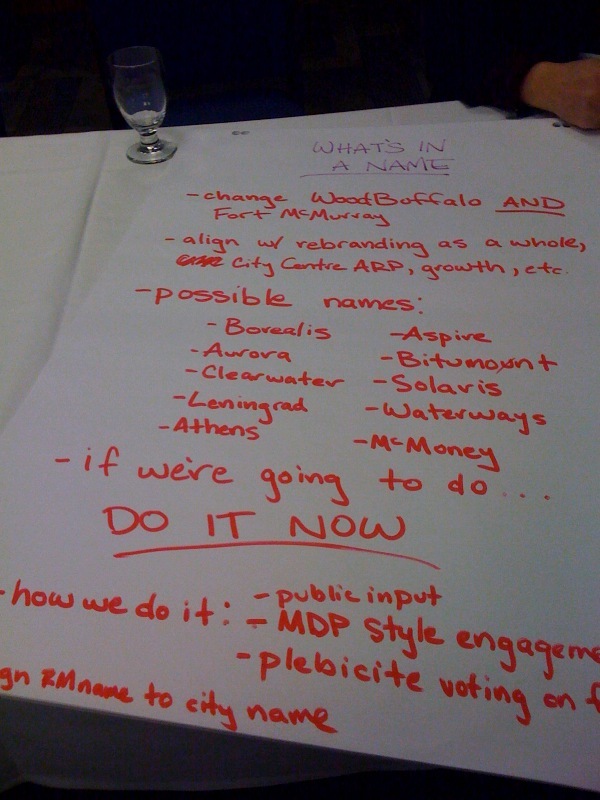 Democratic indeed, participant driven, and fascinating to see which topics engendered the most interest, like what sort of iconic structure we could build here that could be associated with our community. The two I voted for? Well, one was "Show Don't Tell, Tell Don't Sell" - meaning spreading our message to the world in the most effective way but perhaps without the "hard sell" - and the other was one I had suggested, actually, but I wasn't alone in my suggestion, either. The topic? Changing the name of our region. Now, before anyone gets all irate and defensive I don't have an issue with the name Fort McMurray. I think it's a lovely name, but I'm not sure it still reflects who we are, particularly the "Fort" part. I've had many people ask me if I've ever thought we should change our name, if it's an idea I had considered. And for some time we were simply known as "McMurray", too, so our name hasn't always been static. The true thing to remember, though, is that most ideas, even if we don't implement them, are worth exploring. As I've told the Intrepid Junior Bloggers if it's not illegal, immoral, or unsafe then it's worth thinking about at least. Even if you don't do it the way we achieve progress is to open ourselves to the ideas that surround us, to consider them, roll them around in our heads, and see where they go. It doesn't mean we will do them - it just means we drop our initial defences and tendency to say "hell no!" and give it some thought. And that is what we did at CIS 2.0. Each participant was given the chance to discuss two topics, and I immediately secured a spot at the "What's In A Name" table. I found myself in excellent company, too, with people from many different sectors of our community, working in things like industry and communications. After some introductions we dove into the topic pretty quickly, and I learned a great deal, like the origins of our name, and some other things that stunned me. I've always wondered about the name "Regional Municipality of Wood Buffalo". Not only is it a mouthful I found it curious - what was the origin of this name? Why was it chosen? And that's when I learned it was an eleventh-hour choice at the time of amalgamation, a name that had never been really submitted to the public or even given a great deal of thought. It had just been the least offensive name, it worked, and they needed a name - now. And to be honest, I don't think that's good enough for us, people. When I named the Junior Blogger I didn't just grab whatever name popped up because they were going to kick us out of the hospital and she needed a name. No, it got a lot of thought and consideration. And yet we named our entire region under duress and because we had nothing better. So, our group came to the conclusion pretty quickly that few people seem to feel great attachment to the name RMWB, and that the name may not really reflect this region - and that thus it could be changed should the community desire it. As for the name Fort McMurray - this is a bit trickier, of course. Changing the name may make it appear that we are trying to avoid our image, to distance ourselves from the negative attention we have had heaped on us. And, I suppose, it could be seen that way - but it could also be seen as us making significant changes here, both in terms of our community and in our innovation in every field. It could be us reclaiming our community, determining our own future by deciding our own name, and then proudly standing behind that name. The point is that we could keep the name and work to reclaim it, we could drop the "fort", or we could be quite cutting-edge and change it completely (as other cities have done, and successfully, too). The idea is that we, the citizens, have the power to do as we wish, to open the idea to public debate and suggestion and even a plebiscite should the idea really gain steam. In the end our group came to some conclusions. For starters if we are going to change any names, this is the ideal time to do it, when our region and community are undergoing so many changes. I truly believe we are on the cusp of something huge happening here, of us becoming something amazing, and if we choose to change the name then this is the time. We came up with some ideas, from Aurora to Borealis to Leningrad or Constantinople (ok, that was a joke, but the idea was that those are perfectly good names that aren't currently being used so...). And again before anyone gets all hot n'bothered about all this (as happened recently when this topic came up on Twitter) just remember : this is a thought exercise, not a plan, a proposal, or a movement. This is just some people who are engaging in some outside the box thinking, not a group planning a radical overthrow of the status quo and x-ing out the current names on all the signs. The second table I attended was the topic of "Show Don't Tell, Tell Don't Sell". This actually dovetails nicely into the name discussion in many ways, because it's about how we present our region to both those in it and outside it. The group was different this time, but again a diverse representation from our community, and an absolute pleasure to talk with. We talked a great deal about how we deal with negative outside media attention, and about the best way to get the truth about us out there. And that's when the brilliant suggestion of the "Fort Mac Five" was made. The "Fort Mac Five" would be a set of five facts about our region - things that are surprising or interesting or intriguing or just astonishing - that we could teach to every resident of this city. Then, when they travel to other places or are talking to those not from here and hear some negative stereotype they can counter with "well, did you know...", and silence the critics (and educate them at the same time). It would take some time to come up with those five facts, of course, and it would need to be things that appeal to all of us in some sense - but I think if every person in this community was armed with an arsenal of five amazing facts about us they suddenly become very potent agents in spreading our story. They become ambassadors, and that is the true essence of showing, not telling, and telling, not selling. It's us telling our story of life here, with five amazing facts tossed in. When I began thinking about it I started coming up with dozens of facts, but I think finding five would be fairly easy (we could start with our status as most philanthropic community in Canada, for instance, something few outside the area would know but a fact of which I am deeply proud). We ended our day with supper, and with more conversations that had been inspired by the discussions earlier in the day. I learned about the discussions other groups had engaged in (iconic structure? How about an amazing bridge across the Snye, a world showpiece? ), and met many more new people. And I engaged in some of those courageous conversations Ian Hill talked about. You see, the thing about courageous conversation is that you must be willing to step outside your comfort zone. You must be able to see beyond the "why would we" or "why should we" or "no, ain't gonna happen" and just be open to the ideas. Having those conversations doesn't mean we are going to make major changes, it doesn't mean we are going to tilt the world on it's axis - it just means we are going to explore some ideas and see where they go. We are going to open our minds (without letting our brains fall out) and see what happens when we allow some new thoughts in. Because truly that's the beauty of this community - the willingness to explore, to believe, to consider, to hope, and to think outside the box. We are not constrained by old ideologies and roped in by old ways of doing things. We are innovators, pioneers, and, most of all, courageous. 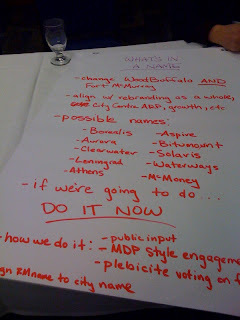 And at the recent Community Image Summit 2.0 we engaged in some of that Fort McMurray(Aurora? Borealis? Leningrad?!?) bravery, people - and it was incredible to witness.